Dr. Topcuoglu received M.S. degree and B.S. degree in computer engineering from Bogazici University in 1991 and 1993, respectively. He received Ph.D. degreee in computer science and engineering from Syracuse University in 1999. Dr. Topcuoglu has been at Faculty of Engineering, Marmara University since 1999 where he currently is a Full Professor in the Department of Computer Engineering. * Hybrid Evolutionary Algorithms and their applicability on various domains, Hyper-Heuristic Techniques, Dynamic Optimization Problems. 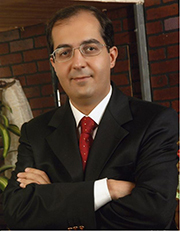 Dr. Topcuoglu has received the 2008 IBM Faculty Award. The IBM Faculty Awards are competitive worldwide awards that foster collaboration between researchers at leading universities worldwide; and it also promotes courseware and curriculum innovation. Dr. Topcuoglu also received Best Paper Award at IEEE ISDA (Intelligent System Design and Applications) in 2010. His research was recognized by Marmara University with the University Publication Impact Award in January 2012. He is an editorial board member of Cluster Computing Journal (SCI-Expanded Journal) and he has been serving as reviewer on leading journals including IEEE TPDS, JPDC, IEEE TEC, Information Science, EJOR, Journal of Heuristics and conferences including IPDPS, HPDC, GECCO, EVOCOP conferences.